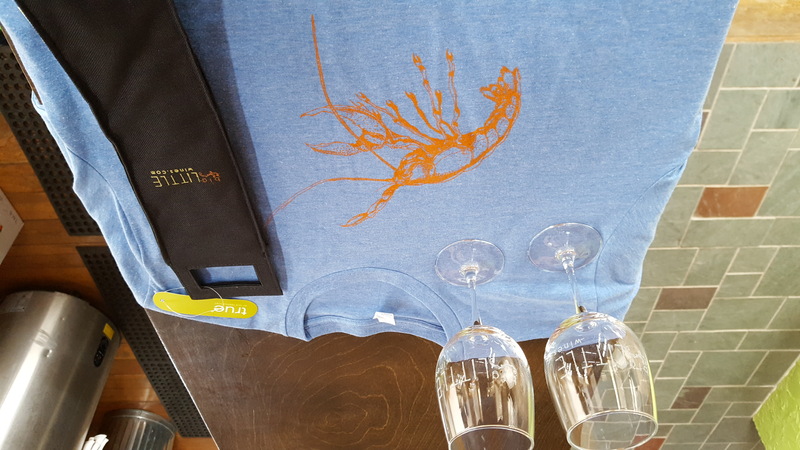 Today's Prize: bigLITTLE Prize Pack containing 1 bigLITTLE T-shirt, 1 insulated wine logo tote bag and 2 paid tasting flights. Color, design and size of shirt can be selected by winner from available stock. (Click here for an example.) Prize must be picked up at bigLITTLE's tasting room before the end of their 2017 season (they're open through October). Today’s Question: All of bigLITTLE's wines are named after a childhood memory. (Click here to see what we mean.) If you had to name a wine after your fondest childhood memories, what would the name be and why? 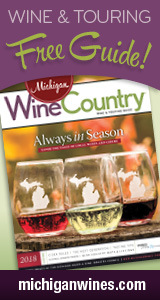 This edition of WIOG features wines we tried at the Michigan Wine Showcase in April and during our trip to Traverse City in June. Since we end up tasting a LOT of Michigan wine (you may have noticed), WIOG is our attempt to give you an idea of some selections that you may be interested in checking out based on what we've been experiencing. Cheers! Peter and Michael Laing are brothers. Peter is the big brother and Michael is the younger. They also are the partners behind bigLITTLE wines here in the Leelanau Peninsula. Yay for Mike and Pete! These guys are doing great stuff on Leelanau Peninsula. This giveaway is closed as of 11:59 p.m. April 25. Stay tuned for the next one! Today’s Question: Mike and Pete Laing of bigLITTLE name all of their wines in honor of their fond childhood memories together, like “Tire Swing,” “Mixtape” and “Treehouse.” If you were to name a wine after one of your childhood memories or pastimes, what would it be? Head on over to our Facebook page to enter! The deadline for today’s giveaway is 11:59 p.m. Friday, April 25. We taste through bigLITTLE Wines' C-3 Pinot ... with empty glasses! We couldn't resist opening this sparkler on New Year's Eve, so this is more of a retrospective. Are you a fan of bigLITTLE and/or sparkling wine? Come tell us about it! You've had Pinot Noir — but what about WHITE Pinot Noir? (Wha-wha-what?!) Shannon makes bad puns as we taste through the delicious Big Little Wines 2012 Treehouse on Podcast #112. Are you a bigLITTLE fan? What's your favorite of their wines?? Come tell us about it! New tasting rooms are springing up all over Northern Michigan! Here's a peek at a few you may not have seen — yet, that is! Have you visited any of these places? What did you think? What were your favorite wines there? Come tell us about it. Ever wonder about the person behind what's in that bottle? Welcome to the latest installment of Meet Your (Wine)maker, which introduces you to the winery folks responsible for crafting that vino you so adore. Today, we introduce you to Mike Laing, a winemaker who's spread out his talent over so many projects that we had to expand our title sequence just to accommodate all of them. Find out how Mike segued from math teacher to protege of Michigan's King of Bubbly, Larry Mawby, to co-founder his own wine label with his brother, Pete.